Circus Sarasota Celebrates 250th Anniversary of the Modern Circus with OVATION! Each year, Circus Sarasota boasts an impressive roster of international artists who test human boundaries and leave audiences awestruck. This year’s performance, titled Ovation , honors the 250th anniversary of the modern circus and those who have impacted the artform. https://circusarts.wpengine.com/wp-content/uploads/2017/01/logo-1.png 0 0 Alyssa Holcomb https://circusarts.wpengine.com/wp-content/uploads/2017/01/logo-1.png Alyssa Holcomb2018-08-28 10:35:052018-08-28 10:35:05Circus Sarasota Celebrates 250th Anniversary of the Modern Circus with OVATION! My name is Brett Szalbirak and I am a graduating senior in the Class of 2018 at The Out-of-Door Academy. I first got my start with The Circus Arts Conservatory in the 2015 season. The CAC has a volunteer partnership with my high school. I soon learned much more during a presentation done by Michael Salmon and Marcia Pack. They were looking for volunteers to staff the Big Top at Nathan Benderson Park for the upcoming Circus Sarasota winter production. I thought that this opportunity was something different – I did not even know that Sarasota even had a circus production before moving here in 2014! Nevertheless, I grabbed a volunteer form and decided to sign up. Going into the Big Top, I did not know what to expect. There were a lot of seats and sections, and managing a large crowd seemed overwhelming. That’s where I met Marcia Pack, who took me under her wing and showed me the ropes. She was so patient, kind and caring; the Big Top started to feel like home. That first year for me was a hit. I enjoyed every minute of volunteering and I got to meet some amazing people, including the Wallenda family, and started to build relationships. I started out ushering patrons to their seats, helping with crowd control, and setting up or tearing down within the tent. The performances blew me away every time I got to watch them. By the end of my first season, volunteering at the Big Top did not seem like an obligation. Rather it became enjoyable, something I looked forward to doing, almost like a privilege. Sadly, the run of that year’s production came to an end. But I knew that I would be back. This past circus season has been my fourth consecutive season with Circus Sarasota. In 2017 I had the great honor of being a Guest Ringmaster during closing weekend. This year I had the honor of being a Student Volunteer Coordinator with the help of a close friend and classmate (and another CAC summer intern) Zachary Wells. I balanced this position along with full-time school work and my part-time job over the weekends. But, the circus has never felt like a job to me. Granted volunteering comes with responsibilities, but the circus is all about having fun, and I can truly say that I have had fun over the past four years. I reflect back on my first season in 2014 and am impressed to see how far I have come, not only as a volunteer but also as a person. It has been a very humbling experience. I have gotten to see many of the behind-the-scenes and inner workings of The CAC and it has been a pleasure all throughout. As I advance my academic studies into Business Administration at the University of South Florida, I plan on maintaining the relationships I have built with many of the volunteers over the years. I also plan on continuing to volunteer and help out any way I can with The CAC. I currently have the pleasure of interning at The Circus Arts Conservatory offices in Sarasota, learning about the business aspects of a non-for-profit organization. The Circus has really become a part of my life. I am so grateful for individuals like Marica Pack, who I refer to as my “Circus Mom,” that have taken the time to teach me and become a part of my life. I have enjoyed every minute of it and encourage anyone who wishes to volunteer or simply see what The CAC has to offer to some see what it is all about. SARASOTA —A new era of circus arts legacy has begun. 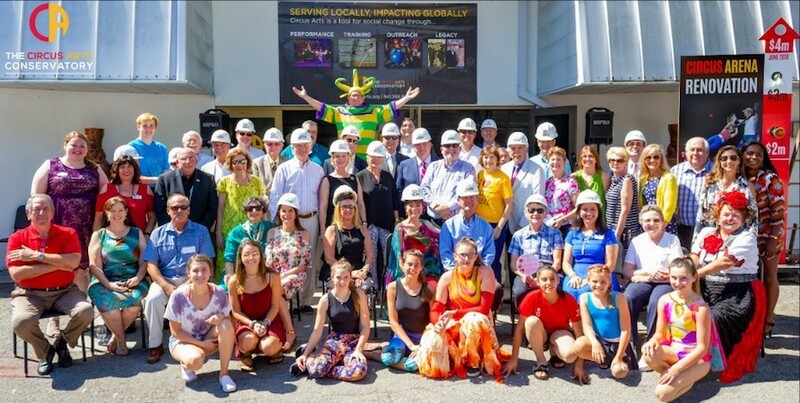 This week The Circus Arts Conservatory officially broke ground in the iconic Sailor Circus Arena for a $4 million renovation that will provide air conditioning, state-of-the-art flooring and retractable seating. More. SARASOTA — Thanks to the community’s generosity and a grant from the state, that will no longer be an issue. Money raised will provide A/C and some much-needed updates. Construction is expected to wrap up by the end of the year, just in time for the big 70th-anniversary celebration where new memories will be made with a future generation of circus performers. More. SARASOTA — This year, from May 8 through May 12, communities such as Sarasota County will acknowledge the benefits the travel and tourism industry has for our economy and quality of life. Guest Service Excellence – Heart of House award went to Marcia Carlson Pack of The Circus Arts Conservatory. More. SARASOTA — The Junior League of Sarasota held a ribbon-cutting ceremony at Sailor Circus Sarasota this past weekend to commemorate the completion of recent improvements. The League’s New Member Class of 2017-18 has dedicated its time and resources to breathe new life into the grounds of Sarasota’s beloved Sailor Circus, a pillar in the local arts community that provides after-school circus training to students ages 8 to 18. More. SARASOTA — Last Saturday, The Circus Arts Conservatory, The Junior League of Sarasota, The Heart Gallery of Sarasota and The Children’s Guardian Fund partnered together to host 60 foster children and their foster families for a special presentation of the Sailor Circus Academy. 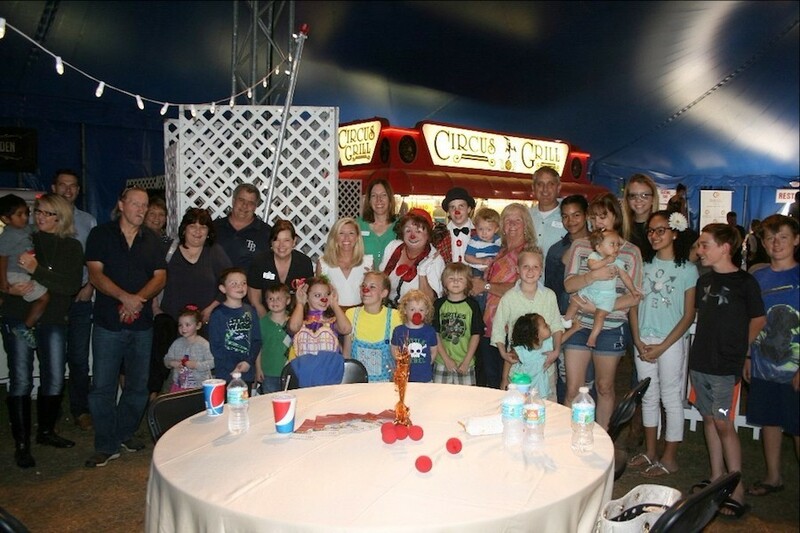 The purpose of the event was to provide a light-hearted atmosphere in which foster children and their foster families were able to enjoy dinner and a fun-filled show, many attending the circus for the first time. More. SARASOTA — Then, in an instant, the orchestra’s notes hit a crescendo. The 100-plus voices of the chorale join en masse. And the aerialist executes a take-your-breath-away move. Everything about the moment is choreographed to amaze. And a night full of such moments is precisely what makes the annual Cirque des Voix unique. More. SARASOTA — For the ninth production of Cirque des Voix — Circus of the Voices — Key Chorale and the Circus Arts Conservatory turn to the moody Hollywood music of composer Danny Elfman. His film scores describe dark characters ranging from “Batman” and “Beetlejuice” to “Spider-Man” and “Edward Scissorhands.” More. SARASOTA — Sailor Circus returns to the Big Top for two performances Saturday of “The Greatest ‘Little’ Show on Earth.” The family-friendly production features awesomely-talented local students ages 8 to 18 displaying their skills with acts such as Acrobatic Adagio, Teeterboard, Lyra, Trampoline, Swinging Cradle, Juggling, Roller Skating, Aerial Silks, Web, Slack Line and more. More.